During April, Rwanda becomes the country of a thousand tears as the nation gathers to remember and mourn those tragic days when society failed – when over 800,000 (a conservative estimate) people were slaughtered in the Tutsi Genocide within a mere 100 days. The scale and intensity of this time remains unfathomable. And while today there’s an uneasy peace, so much remains unsaid. For some, it’s still too painful to put into words. For others, there’s a desire to try and forget and move on. And then there are those who still attempt to bury the truth, denying either their role or what happened. More truth-telling is needed for reconciliation. It is not easy. There is no quick fix when trust has been broken. Reconciliation is often a slow and painful journey that differs for each person. Time and grace are the best gifts that can be offered – time and grace to allow each one to heal in his or her own way. Simply telling someone, “You must forgive,” is not helpful. Forgiveness emerges when one is ready and able to make peace with one’s own past. Once you have this inner peace, you are then able to reach out to others. It’s a journey that starts with love. “Love is a catalyst for peace…it sets you free yourself,” commented one of the youth at peace camp. 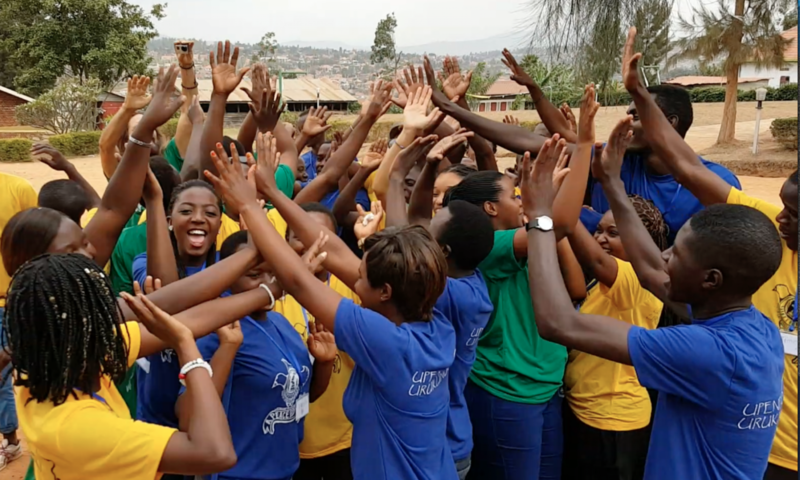 She and the other youth at camp were inspired by the story of a group of students who made a courageous stand for unity, at great personal cost, three years after the genocide. Love is at the root of their story. “We were training to love each other,” noted Phanuel, one of the survivors. Read more about the Nyange national heroes. Memory is important to the peace process. Stories must be remembered and shared for more understanding and common ground. Commemoration, in spite of being so difficult, is an essential time to cry together, to remember together, but also to commit anew to working together. It’s a time to shed a thousand tears of hope for a better future where all may live together in true peace, recognizing the value and dignity of each person. It’s the message behind Easter, where we encounter the source of true love, the God of all creation, who sent his only son, Jesus, to show us the way. Through his death and resurrection all may be reconciled to God and to each other. 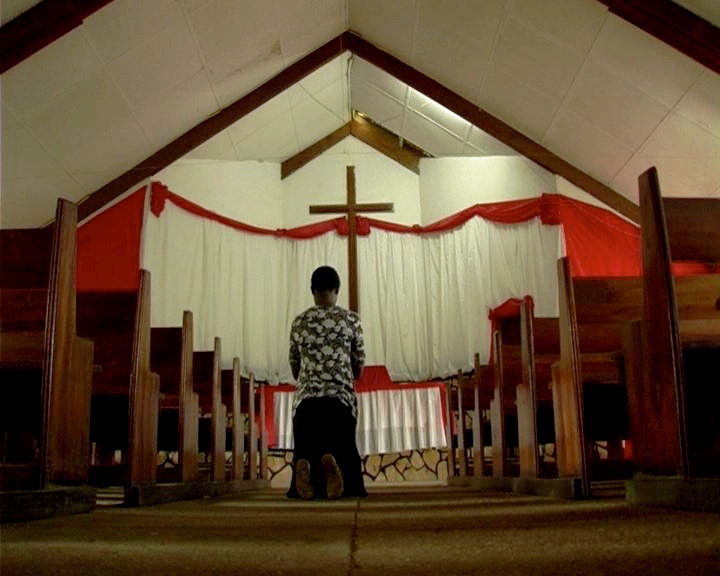 The 1994 Genocide against the Tutsis occurred on the eve of the Easter season. A soul-wrenching reminder of the battle raging between good and evil in our world. Are we complicit? Complacent? Or committed to not be overcome by evil, but rather overcome evil by doing good? Help sponsor Peace Camp 2011 where we will be working with youth on skills development in conflict transformation including anger management and trauma counselling and sharing more stories through drama, song and dance. Note: The photo in this posting is an outtake from a new short film, Tears of Hope, soon to be released by Almond Tree Films, Rwanda. It was produced from a script written by youth at our first peace camp (held last November) to highlight one of the issues they felt most strongly about: the plight of orphans who are taken into other people’s homes. Other short films from Almond Tree Films, Rwanda, such as the powerful Long Coat, are also available. Contact us to book your own special showing or peace camp presentation.